Several years ago, one of my mentors recommended a book to me. 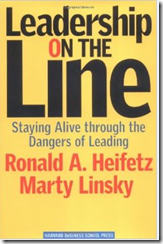 It was Leadership on the Line, by Ronald A. Heifetz and Marty Linsky. My mentor recommended the book because he knew I was having a hard time seeing “who has power in the system,” and why don’t people “just do the right thing.” Most importantly, he wanted me to see the difference between adaptive challenges and technical problems. Treating adaptive challenges like technical problems. With technical challenges, you can apply current know-how, and the authorities do the work. In contrast, with adaptive challenges, you have to learn new ways, and the people with the problem do the work. That’s how you create buy-in, while dealing with the tough stuff — the issues around identity, and culture, and people’s sense of competence, and their loss. Adaptive challenges put people’s habits, beliefs, and values to the test. Adaptive challenges ask people to take a loss, experience uncertainty, and even express disloyalty to people and cultures. Adaptive challenges force people to question and potentially redefine aspects of their identity, and challenge their sense of competence. To address adaptive challenges, it take extraordinary presence, time, artful communication, and trust. Adaptive challenges are where the heavy lifting of true leadership happens. Adaptive challenges are about finding a way forward when people don’t want to, or are scared, or really don’t Know how. 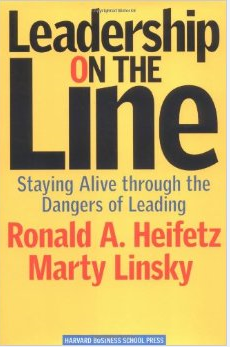 Leadership on the Line is THE book that grows your leadership chops well beyond the fluff stuff. It’s hard-core leadership in action – driving the big, hairy changes and challenges. And, it’s probably THE best book on how to actually balance connection and conviction, while doing so. It’s also a very different book. It’s prose is powerful. You’ll feel it in your bones. Strangely, very few people I mention this book to have ever heard of it. It’s like the unsung heroes of leadership books. 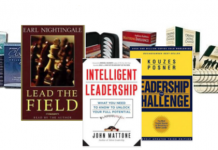 Leadership on the Line is truly a book for leaders who want to take their game to the next level. 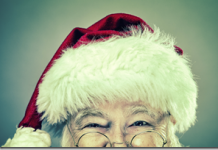 Chapter 10 — What’s on the Line? Engaging. Story and conversational writing. Examples. The examples in the book really help light up key points and bring the ideas to life, by putting them into context and using examples you can relate to. Experienced. The content of the book reflects wisdom and experience. The book dives deep into areas that many leaders struggle with, and it does an excellent job of framing and naming these challenges, and providing concrete, actionable steps for tackling them. Why do leaders fail? They fail to recognize adaptive challenges. Leadership is a way to contribute to the greater good. Distinguish technical from adaptive challenges. Find out where people are at. Listen to the song beneath the words. Read the behavior of authority figures for clues. If you want to inspire the inner-heroes in us, paint a picture of a better world, and call upon our desire to take on big challenges and make an impact. One of the toughest things in leadership is staying connected during deep conflict. “You can constructively raise the temperature and the tension in two ways. First, bring attention to the hard issues, and keep it focused there. Second, let people feel the weight of responsibility for tackling those issues. Conflicts will surface within the relevant group as contrary points of view are heard. Roles can help us act out in the ways we need to, while staying true to who we are. “Remember, when you lead, people don’t love you or hate you. Mostly they don’t even know you. They love or hate the positions you represent. Indeed, we all know how quickly idealization turns into contempt when suddenly you disappoint someone … By knowing and valuing yourself, distinct from the roles you play, you gain the freedom to take risks within those roles. Your self-worth is not so tightly tied to the reactions of other people as they content with your positions on issues. Moreover, you gain the freedom to take on a new role once the current one concludes or you hit a dead end. You certainly paint a compelling picture, J.D. I’m reminded of a similarly unheralded recommendation, “How to Run Successful Projects III: The Silver Bullet”. If this book even remotely approaches the powerful utility contained therein, it must be a winner! Just today meeting with peers on this beautiful Saturday afternoon to discuss our progress toward an advanced certification, one of them lamented the need for soft skills, wishing he could focus solely on his geekly skills for success. 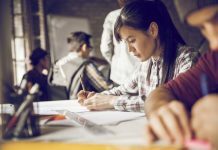 I reminded him that we live in a different world today, & that not only are soft skills vital for career advancement, there are benefits which transcend work, e.g., improved relationships with family & friends. This book may be his 1st class ticket—and mine—to success. I’ll let you know how it works out. @ Jimmy — It’s a book that I’ve found myself reading again and again. Interestingly, when I very first read the book, I was too hungry for immediate action steps. Over time, I realized the power of the book is the constellation of ideas, interspersed throughout it. Very well put, and so true. Looks like an interesting read from your summary review. Will definetely go and check out this one.